Nursing Council Act came to existence in 1948 to constitute a council of nurses to safeguard the quality of nursing education in the country. The mandate was to establish and maintain uniform standards of nursing education. Indian Nursing Council (INC) is a statutory body that regulates nursing education in the country through prescription, inspection, examination, certification and maintaining its stands for a uniform syllabus at each level of nursing education. The syllabus has undergone many revisions according to the change in the health plans and policies of the Government and changing trends and advancements in general education, nursing health sciences and medical technology. The latest revision of syllabus by INC in 2004 has increased the duration of the course from three year to three and half year. The basic entrance has become intermediate or class 12 instead of earlier class 10. Both science and arts students are eligible. The focus of general nursing education is the care of sick in the hospital. Schools of nursing are generally attached to teaching hospitals. Three Board examinations are conducted, one at the end of each year. On passing the candidates are registered as registered nurse and mid –wife by the respective state nursing councils. The Indian Nursing Council believes that the basic course in nursing is a formal educational preparation which should be based on sound education principles. The council recognizes that the program as the foundation on which the practice of nursing is built and on which depends further professional education. It also recognizes its responsibility to the society for the continued development of student as individual nurse and citizens. The purpose of general nursing programme is to prepare general nurse who will function as member of the health team beginning with competence for first level position in both hospital and community. The programme is generated to the health needs of the society, the community and the individual and will assist nurses in their personal and professional development so that they may take their maximum contribution to the society as individual citizens and nurses. Apply relevant knowledge from the humanities biological and behavioral sciences in carrying out health care and nursing activities and functions. Demonstrate skill in the problem solving methods in nursing. Demonstrate awareness of necessity of belonging to professional organizations. Promotion of health, precaution against illness, restoration of health and rehabilitation. Age for the entrance shall be 17 years to 35 years, provided they meet the minimum educational requirement ie 12 years of schooling. The selection committee should comprise tutors, nurse administrators, and educationalist/psychologist. The principal of the school shall be the chairperson. The course in general nursing shall be of three and half years duration as follows,--- two years practice in general nursing , one year community health nursing and midwifery and six months internship which includes nursing administration and nursing research classes. There will be alternate course for male students in lieu of midwifery. The ANM who wishes to under take general nursing course will not be given any concessions. The maximum hours per week per students shall be 36 hours, which includes instructions and clinical field experiences. Graduate nursing education started in India in the year 1946 in CMC , Vellore and in the RAK college of nursing at Delhi university. At present 1373 colleges have been recognized by INC to conduct the course under several universities in India. pass the 2 year of pre university exam or equivalent as recognized by concerned university with science subjects ie Physics, biology and chemistry. obtained at least 45%of total marks in science subjects in the qualifying exam, if belongs to a scheduled caste or tribe , should have obtained not less than 40 % of total marks in science subjects. to enable a student to become a professional nurse practitioner who has self direction and is a responsible citizen. appreciation of professional attitudes necessasary for leadership roles in nursing appreciation of social and ethical obligations to society. The course of study leading to bachelor of nursing degree comprises 4 academic years. INC has recognized two modes of programmes at this level. B. Distance B.Sc (Post Basic) course for those who have 10+2 GNM + 2year Exp which has a duration of 3 years. 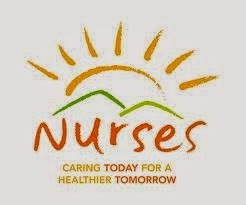 Nursing is an integral part of the health care delivery system and shire responsibility in collaboration with other allied health professions for the attainment of optimal health for all members of the society. Education as a life long learning process. It seeks to render appropriate behavioral changes in students in order to facilitate their development, which assist them to live personally satisfied and socially useful lives. hold a certificate in General nursing. have minimum of two years of experience. Now it is relaxed that no experience after GNM is required for admission to this course. DURATION –the programme of the study is two academic years from the date of commencement of programme. Terms and vacations shall be as notified by the university from time to time. OBJECTIVES—the goal of the post certificate programme leading to the bachelor of nursing is the preparation of the trained nurses as a generaralist who accept responsibility for enhancing the effectiveness of nursing care. First two years course in masters of nursing was started at RAK College of Nursing in 1959.and in 1969 in CMC Vellore. At present there are 401 colleges imparting MSc Nursing degree course in different specialties. 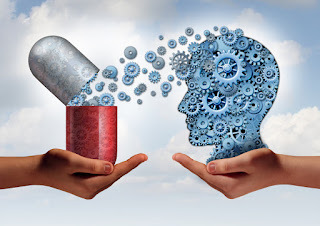 expertise in the utilization of concepts and theories for the assessment ,planning and intervention in meeting the self care needs of an individual for the attainment of fullest potentials in the field of specialty. for BSc, nursing post certificate, no such experience is needed after graduation the candidate shall be-a registered nurse or registered midwife for admission to medical surgical nursing, community health nursing, pediatric nursing obstetric and gynecological nursing. the candidate shall be selected on merit judged on the basis of academic performances in BSc nursing, post certificate BSc, or nursing and selection tests. In 1980 RAK college of nursing started an MPhil programme as a regular and part time course. Since then several universities started taking students for the MPhil course in nursing. Nursing shares with the whole university a main focus of preparing its students for service and assisting them to achieve a meaningful philosophy of life. The student is encouraged to develop judgment and wisdom in handling knowledge and skills and achieve mastery of problem solving and creative skills. Commitment to life long learning is the mark of truly professional person. In order to maintain clinical competencies and enhance professional practice the student must stay abrupt of the new developments and contribute to the advancement of nursing knowledge. Duration of the full term M.Phil course will be one year and part time course will be two year. At the time of admission each candidate will be required to indicate her priorities in regard to the optional courses .a candidate may offer one course from M Phil programme from the department of Anthropology, education, sociology and physiology or any suitable department. The M.Phil studies will be into two distinct parts, part1 and part 2. Part2----after passing the part1 examination, a student shall be required to write a dissertation. The topic and the nature of the dissertation of each candidate will be determined by the advisory committee consist of 3 members. The dissertation may include results of original research, a fresh interpretation of existing facts, and date or a review article of critical nature of may take. Erlier Indian nurses were sent abroad for Ph. D programme. A candidate for admission to the course for the degree of doctor of philosophy in the faculties of medical science must have obtained an M Phil degree of a university or have a good academic record with first or second class master’s degree of an Indian or a foreign university in the concerned subject. The candidate shall apply to the university for the admission stating his qualifications and the subjects he proposes to investigate enclosing a statement on any work he may have done in the subject. every application for the admission of the course must be analyzed by the board of research studies. Principals/ head of institutions recognized for post graduate medical studies. Neeraja KP. Text book of nursing education.2005.1st edn. Noida. Jaypee brothers medical publishers( p) Ltd.